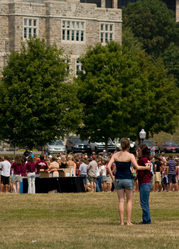 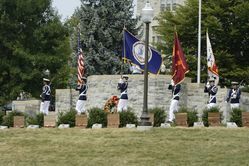 A cadet carries a piece of one of the victim&#39;s hokie stones back to the seating area while spectators look on. 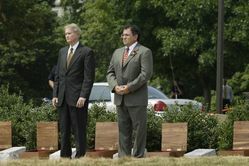 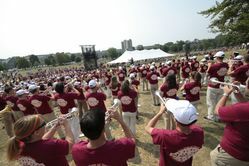 Photo taken at the intermediate memorial dedication ceremony on August 19, 2007. 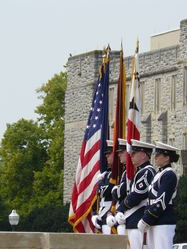 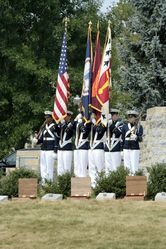 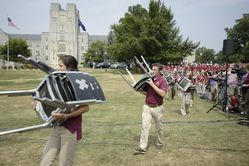 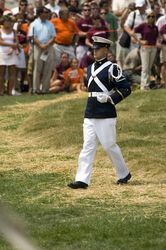 A Virginia Tech Corps of Cadets color guard stands watch at the memorial dedication ceremony on August 19, 2007. 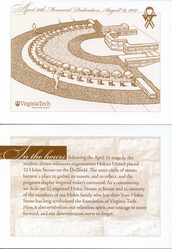 The crowd on the drillfield begins to gather and grow prior to the dedication ceremony for the intermediate memorial. 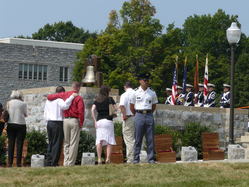 Photo taken August 19, 2007.